Cosmetic Dermatology Monroe: Is Laser Treatment Right For You? Is Laser Skin Treatment For You? For years, microdermabrasion and chemical peels have been the gold standard in effective skin rejuvenation. From celebrities to friends, many of us have met at least one person who sings the praises of chemical skin peels and microdermabrasion procedures. However, there’s a new and more effective version of these beloved procedures. Introducing: The Sciton MicroLaser Peel, the next generation of skin treatment that goes well beyond traditional microdermabrasion and chemical peel procedures. While most microdermabrasion and chemical peel procedures do assist in improving skin’s natural vitality, the Sciton MicroLaser peel surpasses traditional procedures in every way possible. These traditional skin treatments only go so deeply into the skin, leaving behind still-damaged cells, lines, and other unwanted (and noticeable) facial features. This is done by utilizing the energy of the Erbium: YAG laser with your dermatologist controlling the depth to which the laser penetrates. This allows your dermatologist complete control over just how deeply the laser needs to penetrate to reach your skin’s most affected areas and allows for ultimate skin resurfacing precision. Moreover, the degree to which your dermatologist sets the laser can be as superficial as a 10-micron epidermal ablation or as deeply penetrating as surgical levels. Truly, this is the most state-of-the-art way to treat skin that has over time been damaged by the sun, as well as aging skin. The Sciton ProFractional Resurfacing laser treats the above-mentioned skin conditions by generating thousands of microscopic channels in the skin which is surrounded by other areas that remain untreated. These areas energize our bodies’ healing process. This allows the treated skin to repair the untreated areas through natural processes and kick start new collagen production which leaves skin smoother and more refined. Is Sciton ProFractional Laser Treatment Right For You? The odds are that, yes, this revolutionary skin treatment is right for you! If you’re looking to treat sun-damaged and aged skin while improving scars, wrinkles and otherwise uncomfortable skin, then utilizing this skin treatment is an excellent way to revitalize and rejuvenate your skin to a better, younger-looking state. This skin treatment procedure can be done on many areas of the body, although the face and neck are our most popular treatment areas. However, the chest and hands are close runners up. 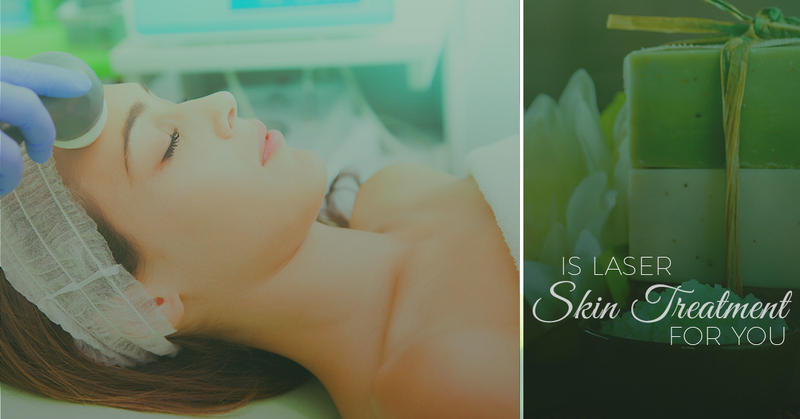 No matter which area of your skin you choose to treat, we implore you to speak with your doctor before beginning your treatment sessions with the Sciton ProFractional Laser. Speaking treatment sessions, we’re often asked just how many sessions it will take to get the newer, younger-looking, and revitalized skin that you’re craving. While the number of sessions varies from patient to patient, most recipients utilize one to four sessions with three to six weeks downtime in between. This allows the skin to heal through natural processes, as outlined above. Once you’ve spoken with your doctor and have come into Advanced Dermatology Care to establish a personalized skin treatment plan, you’ll then have a much clearer picture of just how many skin care treatment sessions you’ll need to reach your desired goal. During your consultation, your dermatologist may recommend combining your Sciton ProFractional Laser treatment with one of our other laser/light skin treatment services. One of the most common questions we’re asked is, ‘what should I expect after my treatment(s)?’ — and understandably so! After you undergo one of our skin care treatment procedures, your treated areas may be slightly tender or sore, depending upon multiple factors such as age, depth of laser treatment, skin sensitivity, a host of other factors, all of which can be discussed with your dermatologist. For complete healing, you can expect one to three days; this is common for most patients! This quick turn-around time is due to the laser’s specificity of depth and control. For makeup application, many patients resume using makeup after one to two short days. However, you should discuss this with your physician before returning to your normal makeup routine. Moreover, your physicians may recommend applying various topical creams or skin care products to quicken your recovery time, as well as lessen any tenderness you may experience after your skin care treatment procedure. Topicals can be extremely helpful, as your skin is likely to be more sensitive to ultraviolet light, so keep that sunscreen handy if you’re out in the Louisiana summer sun! Besides, isn’t overexposure to the sun one of the things we all should be trying to avoid to protect our skin? If you’re looking for more youthful-looking skin that you know is under your lines, wrinkles, and sun-damaged areas, contact Advanced Dermatology Care of Monroe today. We offer numerous cosmetic and medical skin treatment services beyond laser therapy. Each of our skin care treatment procedures is designed to restore your skin, often to a degree you may not have seen in years! We strive to give our clients the best skin care treatment possible. If you have any questions, comments, or concerns, please don’t hesitate to reach out to us today to learn more about how we can give you that youthful glow that’s just waiting to shine.